Having hunted and gathered a wigeon and some fantastic field mushrooms, here’s a dish that gives them the starring roles. You will need one wigeon (a medium-sized, tender migratory duck) per serving. 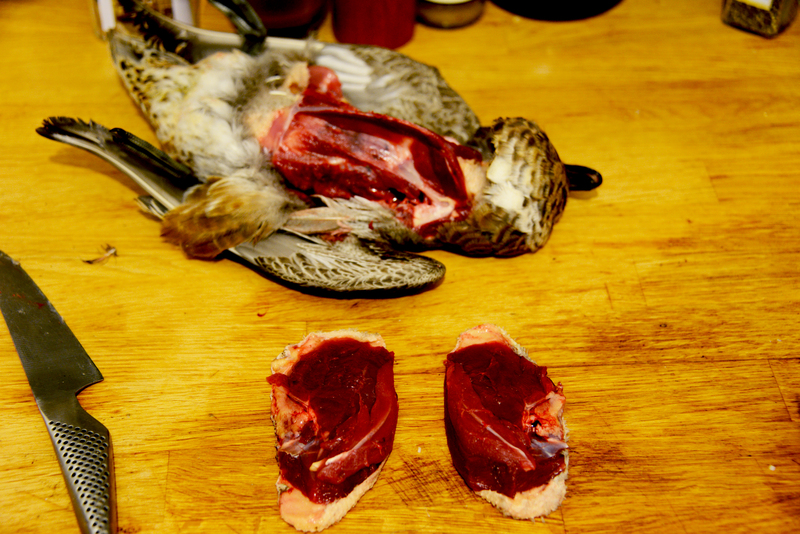 Wigeon is great little duck but there is surprisingly little meat on the bird, with around 85% being on the breasts alone. 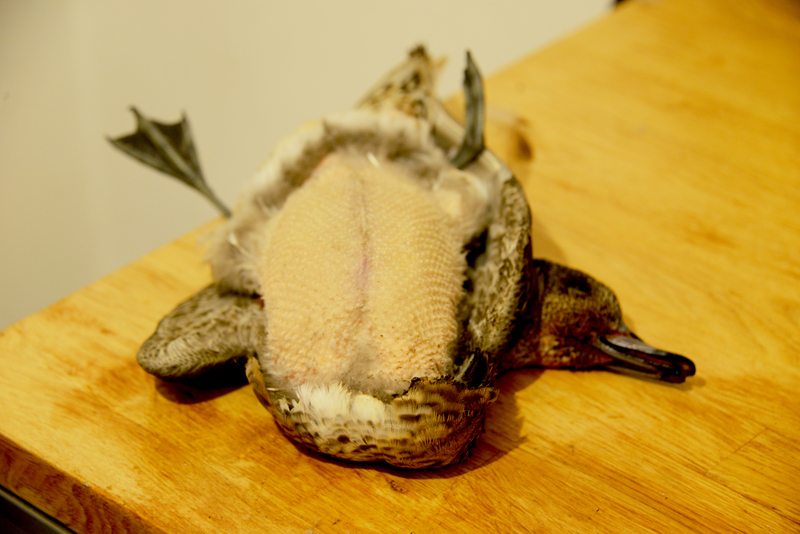 So to save time, I just plucked off this part of the bird and removed the breasts. At this time of year they are lovely, fat little creatures, and full of flavor. Once you have your duck breasts, get a frying pan really hot, with just a little oil in it. Place the duck breasts skin side down, season with salt and pepper and cook until they start to go crispy. Once the skin has become a light golden colour, turn the breasts over and cook for around 30 second to a minute on the flesh side. Then remove, place on a baking tray and pop in the oven at 160c 248F for 15 minutes, until the breasts just start to firm up. Make sure you don’t overcook them, as they must be served pink. While they’re cooking, slice your field mushrooms into 1/2 inch (or 1cm) strips and place in the frying pan you cooked your duck in. Turn the heat to medium, add a drop more oil and a little brandy, and season with salt and pepper. Once the mushrooms are cooked (which will only take around 5 to 8 minuets), turn off the heat and leave in the pan until you need to serve. As your mushrooms are cooking, pop some veg (such as chantelle carrots and brocolli) on to steam for around 6 to 8 minutes. Just before serving, add a drizzle of truffle infused grape seed oil to the mushrooms – it really gives them a flavor explosion. 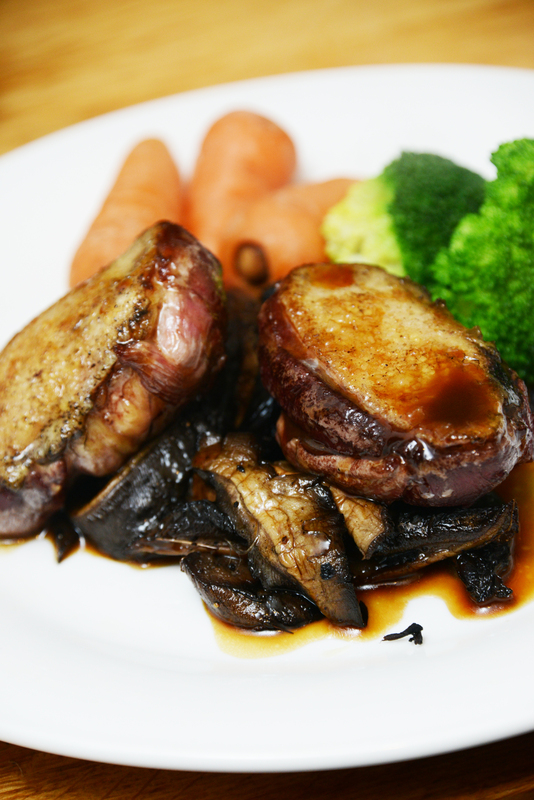 Lay the mushrooms on the plate in a pile, arrange your steamed veg around them, and place your plump, pink wigeon breasts on top of the mushrooms. I drizzled a little honey and balsamic dressing over the meat too, just for fun. This recipe and method of cooking ducks will work with any species – I learnt it while cooking tame duck in restaurants, but with wild duck it really is a great way to enjoy the flavor of the bird. It ensures it’s tender and pink in the middle, and lightly caramelized on the outside. You can experiment with other glazes – I used honey and balsamic vinegar here, but marmalade and apple jellies work fabulously well too. If you liked this recipe please vote for me in the UK blog awards here.